Classroom management software has been proven to improve learning by giving students more time on lessons and providing educators with more efficient use of teaching time. 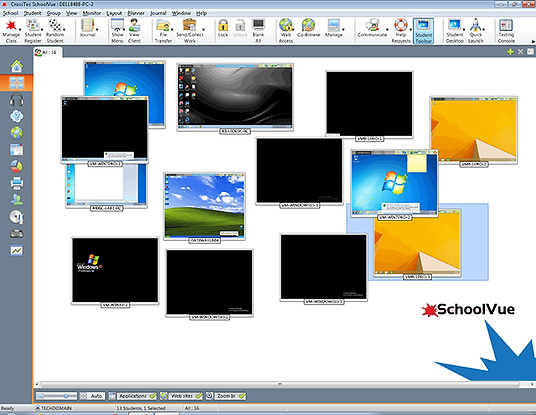 SchoolVue® Classroom Management software provides teachers with an instant, on demand connection to their student technology. Teachers can eliminate inappropriate technology use and wasted class time while gaining the most reliable and efficient classroom management tool in 1:1 environments. SchoolVue from CrossTec eliminates the barrier that technology creates between teachers and student interaction. With SchoolVue you can view student screens and monitor audio in real time. Check up on what students are Instant Messaging to each other from school computers and devices with Instant Messenger and Keyboard Monitoring in Real-Time. SchoolVue also includes powerful Remote Control functionality so that teachers can take over a student device if needed. Teachers can allow or disallow specific applications or websites as well as see how much an applications or the internet are being used with onboard Application and Internet Metering and Control. SchoolVue even includes and internal Internet SafeSearch function to make sure students are further protected from the dangers of the Internet. Take back your lab time with a robust list management tools designed to help teachers manage student behavior and device maintenance and prep. During class time teachers Blank Student Screens to Get Attention, Lock the Students Mouse and Keyboard When Instructing, Automatically Reconnect to Student PCs on Reboot, Use Layouts So the Teacher PC Represents the Layout of the Physical Classroom, Use Individual Teacher Profiles to Deliver the Features Needed by Each Teacher, Give Students Visual Rewards to Encourage Effort or Behavior. SchoolVue software has been proven to improve learning by giving students more time on lessons and by providing teachers with a more efficient use of teaching time. Broadcast teacher screens to students for Real Time Instruction. Use the Virtual Whiteboard and Screen Highlighter and Drawing Tools to enhance your lesson. 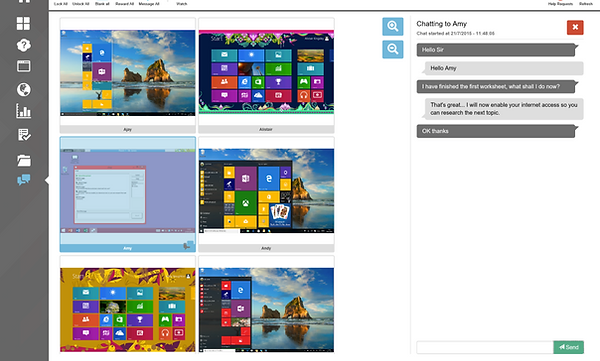 Teachers can make lessons inclusive with features like Internet Co-browse and Group Chats. Teachers can assign Group Leaders to take control of a lesson or use two-way Audio Instruction for language labs. For students less likely to raise their hands, SchoolVue lets students ask and teachers answer discreet questions. This reduces embarrassment and increases learning for all students. CrossTec SchoolVue measure and track student progress with an advanced Testing Module that lets teachers easily create beautiful, functional, and interesting quizzes like First to Answer tests, Enter an Answer, and Pot Luck Quizzes. In addition you can split students into Team Mode, which allows groups of kids to compete against each other, as well as Peer Assessment mode which encourages students to give feedback in response to an answer given by another student. During a typical class, all appropriate items relating to the subject can be captured and added into a PDF file for post-lesson review using the Student Journal. This can be saved for each student, or to share with any who are absent. The Student Journal allows a teacher to store a digital record of activities like lesson details and objectives, screenshots, notes, survey or test results, White Board screens, char transcripts, and outside resources ready for a student to review after class. Within the ever evolving world of 1 : 1 technology initiatives SchoolVue. helps teachers battle distractions and recapture student interest with iPad and Android apps that increase instructional time and productivity. SchoolVue. mobile apps are easy to learn and easy to use and provide the same award winning performance as SchoolVue. for computers. Another great tool from most reliable and efficient classroom management tool in 1:1 environments. 1:1 and “Bring Your Own Device” means many more devices than ever before. Understanding what’s happening with your schools technology got alot harder with the advent of 1:1 and BYOD programs. For classroom management solutions the concept of understanding what student device should be where at what time was a daunting one. SchoolVue. includes a communication console that consolidates multiple access points into one centralized gateway. You may wonder how SchoolVue performs so well in large wireless environments. The difference really is is under the hood. 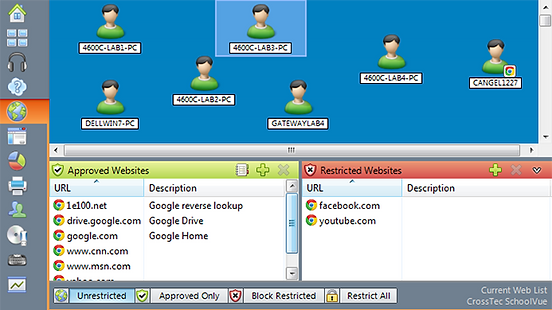 Centralized Administration – consolidate of multiple wireless access points into one centralized gateway. 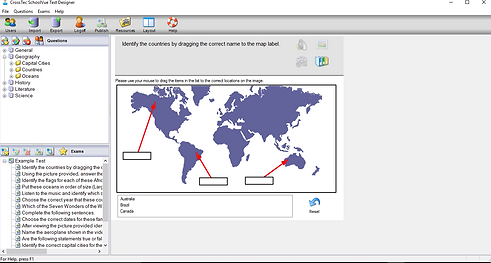 Easy for Teachers – Create pre-defined class lists to connect to non-static computers. Easy for Students – Publish a class and allow Students to join on demand. Optimize Content – Deliver your presentations optimized for Wireless networks. Customize performance to match Access Point speeds.